FPE Automation will be opening an all-new training and technology center. FPE Automation is pleased to announce plans for a new, state-of-the-art facility. Located just two doors down from FPE’s corporate HQ, the new, cutting edge training and technology center will feature six collaborative robot training stations from Universal Robots, 10 Cognex training modules, and the latest pneumatic components. The current schedule of advanced product training classes will remain unchanged. The courses will be moved to the new facility beginning in the 2nd quarter of 2019, where customers will experience the latest technology in an expanded workspace. More details to come! 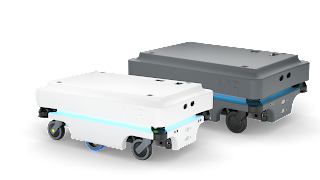 In this show-and-tell workshop, you will learn how collaborative robots (also referred to as “cobots”) can add value to your company, boost productivity, and improve reliability. Cobots are industrial robots designed to work with and among employees without the need for costly safety infrastructure. The Breakfast with the Bots workshop will include demonstrations of cobots, and the opportunity to learn about the many ways cobots can benefit your operation. This seminar is designed for plant managers, directors, operations managers, and others in operational leadership roles. Breakfast will be provided. Have a cold one with a cobot! See the latest technology in action, learn how it works, and how it pays off... FPE’s traveling collaborative robots will be on site. You’ve heard about this cutting-edge technology. You know it is transforming industry in unprecedented ways. Here’s your chance to learn all about it! Explore the possibilities of collaborative robotics in your workspace. Discover firsthand how easy they are to program. Get answers to questions about implementation, average payback times, and safety. With Universal Robots, MiR and more. Hurry, space is limited. Register today! 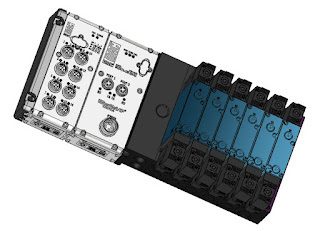 We are pleased to announce the release and availability of the MAC MI/O-67® Fieldbus™ family of products. The initial release includes several different protocol options and several modules, a complete system package! • Designed to meet IP67 washdown specifications (with appropriate valve series modifications). Contact your FPE Automation Solution Specialist for series options, ordering guides, pricing and additional information. FPE Automation has announced another stop on it's popular automation tour! 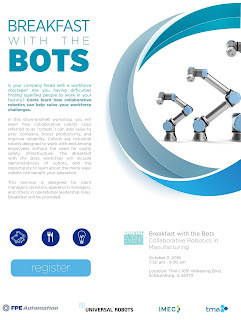 Morning Seminar: Join a team of automation experts from 9:00 am to noon. 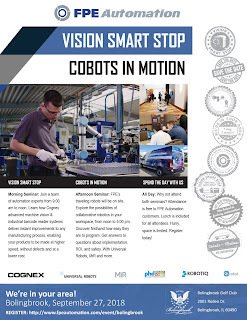 Learn how Cognex advanced machine vision & industrial barcode reader systems deliver instant improvements to any manufacturing process, enabling your products to be made at higher speed, without defects and at a lower cost. Afternoon Seminar: FPE’s traveling robots will be on site. Explore the possibilites of collaborative robotics in your workspace, from noon to 5:00 pm. Discover firsthand how easy they are to program. Get answers to questions about implementation, ROI, and safety. With Universal Robots, MiR and more. Register for one... or both! Spend the day with us: Why not attend both seminars? 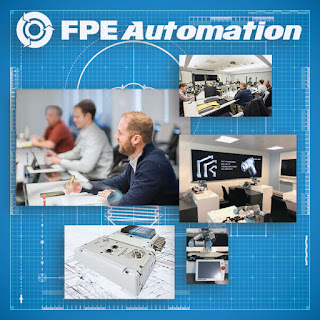 Attendance is free to FPE Automation customers. Lunch is included for all attendees (both morning and afternoon). Hurry, space is limited. Register today!